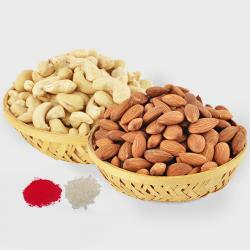 Product Consists : 1 Kg Assorted Raisin and Pistachio Nuts in a Basket along with Free Roli Chawal. Brother is one of the most precious gift sent by God for all Sisters. If you are looking for a blissful gift for your dear than this is a hamper that will make him smile from the core of the heart. When it comes to selecting gifts for special ones, packaging matters as much as the gift. 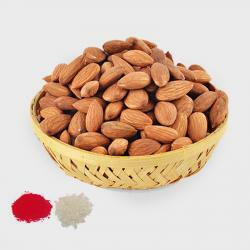 DryFruit Basket brings to you an assortment of dried fruits and nuts in lovely basket, adding a touch of richness to the delicious, premium quality dried fruit. 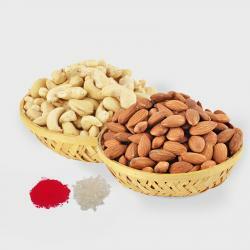 This is a hamper overloaded with auspiciousness and happiness. 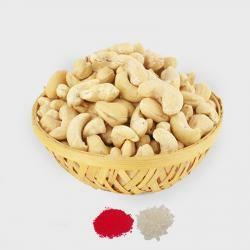 This comprises of a assorted dry fruit along with a Roli Chawal. Send this on any auspicious occasion or festival. 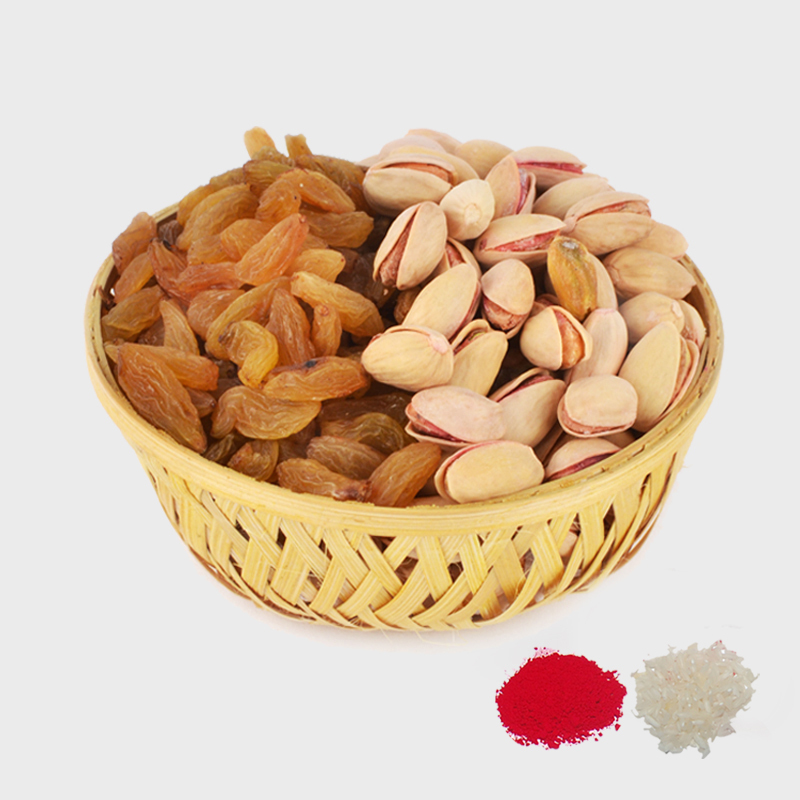 Product Consists : 1 Kg Assorted Raisin and Pistachio Nuts in a Basket along with Free Roli Chawal.